OnePlus 6 Unboxing and First Look! For those not subscribed to our YouTube channel, you may have missed this little guy last night. As the day was wrapping up, we tossed out an unboxing of the brand new, shiny and reflective as all hell, OnePlus 6. The unboxing experience is pretty standard OnePlus stuff. 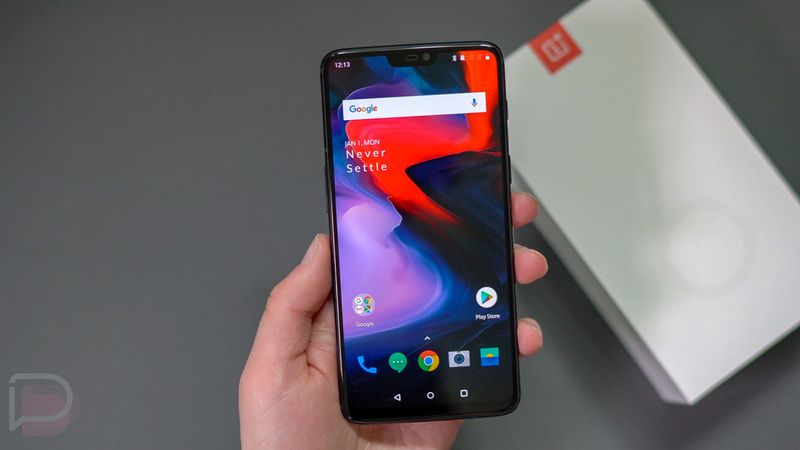 In fact, the packaging is identical to previous OnePlus phones, only with a giant “6” on it instead of “5” or “5T.” But what you do get in this clip is our first reaction to the OnePlus 6 now that we’ve got one in-house and in-hand. We have lots of testing to do before we can reveal any final thoughts, but so far, this is living up to this story that I wrote the other day. The combination of price, specs, and hardware are all adding up to a phone that you should seriously, legitimately consider as your next phone purchase, assuming you aren’t on Verizon.